Kiwiana Garden Art SET OF DANDELION FLORETS. Designed and made in Canterbury from recycled steel. 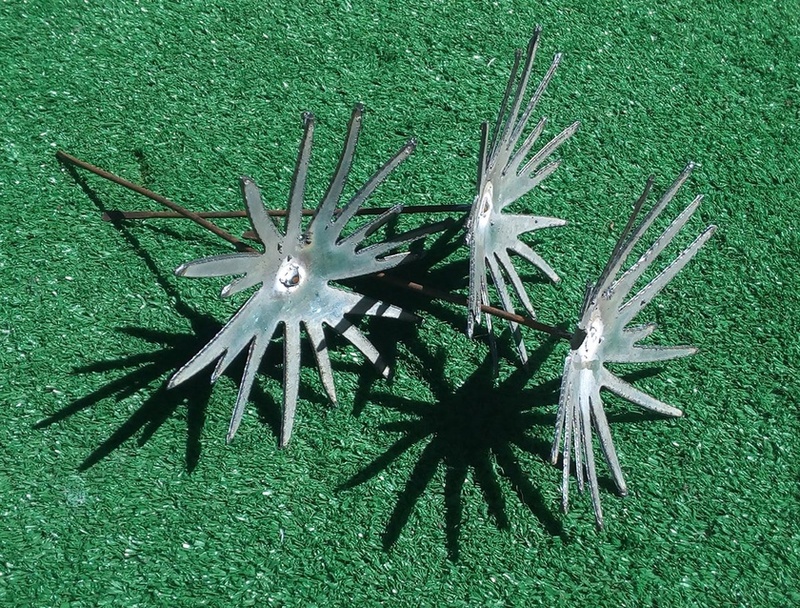 Available in Silver Galvanised - 100mm diameter heads with 160mmm stem. 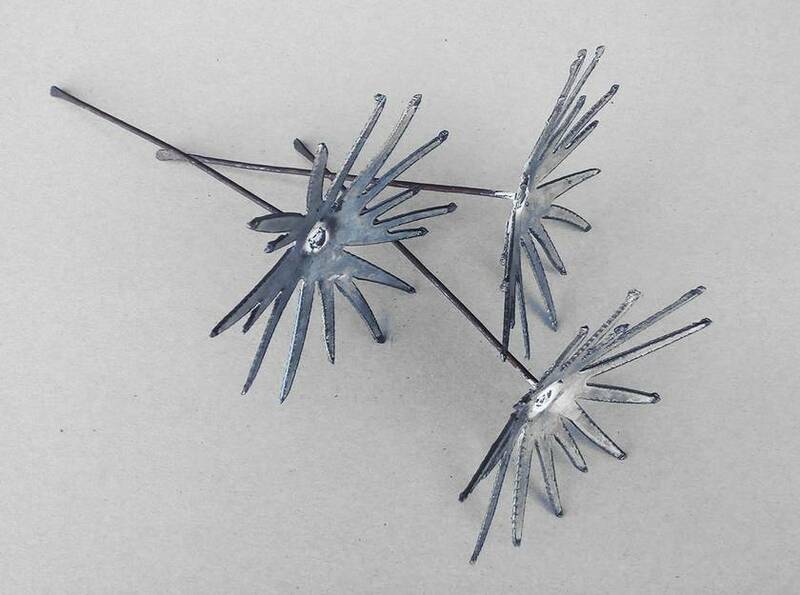 Listing is for a set of 3 Florets.